Being scared of flying, or having a flying phobia, is very common, even to those who have to fly every week. I had an awful fear of flying for many years because I suffered with panic disorder, and automatically assumed I would have a panic attack on the flight. This is the bottom line of what most people fear; panicking or of course death! Despite airplanes having an extremely high safety record, so many of us just don’t trust that we will be okay cruising along at six miles in the air! Because I have now flown four times without any fear, I want to share with you what I did, and other things you can try to eliminate your fear of flying. Why are we Scared of Flying? All of the above and probably any other flying fears you might have, are all likely to have one common theme; that of not being in control. What we tend to fear most in life are the things we don’t understand, and the things we can not control. Taking this into consideration, how can you understand better and learn to take back some control? Most of us don’t know much about airplanes. 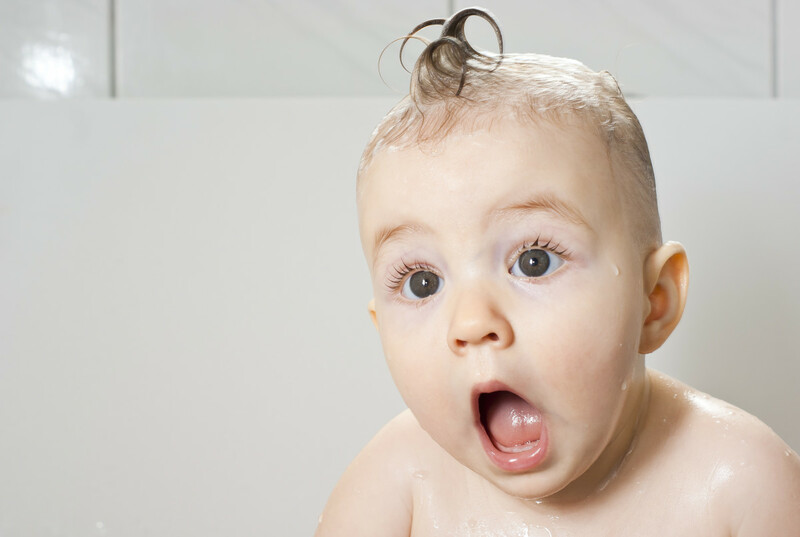 On a flight we hear noises and wonder what they are. 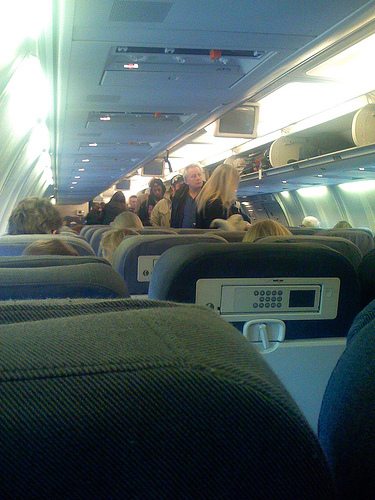 The plane may suddenly make a different movement or start to shudder, and we wonder why. If you are already very anxious, it is this sort of thing that can make you panic. 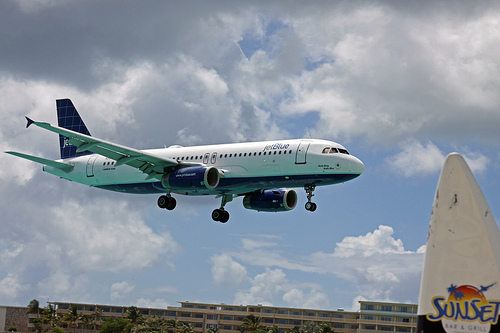 Get to know as much about the plane itself and the safety of planes generally. You can do this at home by looking it up on the Internet. YouTube has several videos explaining flight noises, turbulence and how airplanes are checked for safety. Your thoughts in the weeks or days before you fly are of paramount importance, in how you will cope on the day of the flight. Fear builds when your imagination runs riot with lots of negative thoughts, and playing out fateful scenarios in your mind. Catastrophic thinking will set you up for a certain bad experience. You will be convincing yourself that there really is something to fear and that your attitude is justified. I remember that when I had a flight coming up in a few weeks, I would be thinking about it on and off all day, every day! Nearer the day of the flight I couldn't even sleep, such was my intense fear. If you consider that positive thoughts tend to breed positive outcomes, you should try some visualization in the weeks leading up to your flight. Anxious about Getting on a Plane? Obviously it helps to try a visualization technique if you have flown before. If you haven’t flown before, see the procedure below for what you have to take into account. For anyone who is very nervous about flying, as you can see, there is ample time for your anxiety to increase a lot within the airport. Being able to see the airfield and planes moving around, taking off or landing can also increase your anxiety. So that you are as relaxed as possible before boarding the aircraft, try the following in the weeks leading up to your flight. It might also help to have bought a guided relaxation CD, so that you can learn to relax before visualizing. You are going to use your imagination to have a positive flying experience. Take out a book or magazine and read a few pages, looking up now and again to realize you feel fine. Smile! I am sure that you now get the general idea. For those who have experienced a flight before, you can use your knowledge of boarding the plane, and the flight itself for further visualization exercise. You are practicing positive thoughts within a perceived negative situation. These visualization exercises should be practiced over and over leading up to your flight. If all that visualization doesn't come easy to you, or doesn't seem to help, here are some other ways to at least cope better when flying. Some people have had some success with EFT therapy (emotional freedom technique). 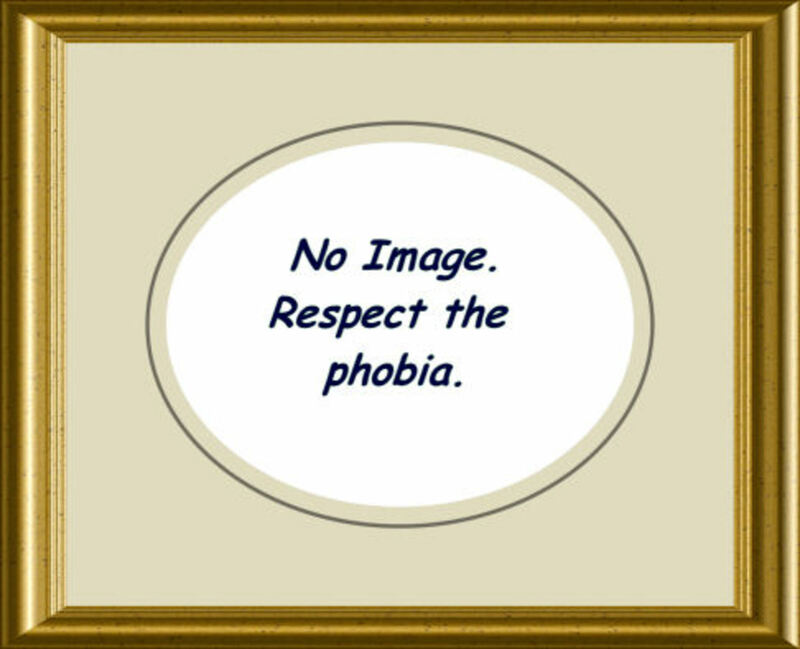 “Tapping” away your fears has been proven to work well with phobias. Here, Dr George Fieldman, a cognitive behavioural therapist, and Jennie Francis, a Harley Street hypnotherapist, have some tips for terrified airline passengers. Some people turn to a xanax or alcohol (or both!) when they are scared of flying. I personally, don’t think this is a big deal if you fly once or twice a year, but it’s certainly not the answer if you fly regularly and is merely a form of permanent avoidance. I cured myself of my flying phobia by using the visualization technique I described, along with relaxation and meditation audio CDs. I also decided to face the fear head on with facts instead of irrational thoughts. I was scared of a bird flying into an engine, mid air collisions and crashing. I would take a valium for flying AND have a couple of glasses of wine (not recommended), but my fear was so great even that didn’t help! I always practiced relaxation or meditation, and visualization for around six weeks before my flight was due. 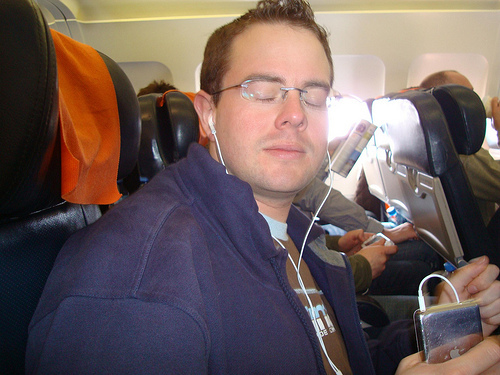 I had much relaxation/hypnosis self-help on my mp3 player, and I would listen to that in the seconds before take off and for the first half hour of the flight. If any negative thoughts did come during the flight, I just switched on my mp3 player, closed my eyes and went back into deeper relaxation. I only had to do this on two flights and then I didn’t need to do it any more. In fact, on my last four flights, I had no valium, no alcohol, nor relaxation audio; and I can honestly say I enjoyed the flight and couldn’t look out of the window enough! Whatever our imagination tells us, flying IS the safest form of travel. I told myself that if the plane was going to crash, it was going to crash and there wouldn’t be a darn thing I could about it! I also thought, if I die, I don’t die alone. I love traveling abroad and seeing new places, but there was a big chance that my fear would have prevented me doing this. The best way forward, as with any phobia, is to face it head on, address it and move on…preferably upwards into the beautiful blue sky! Thank you for your words of help and hope in regard to being afraid of flying. For over fifteen years, I was afraid of flying, but for me it was because of a very negative experience I had as a child. I think I overcame it in part by talking to people on the plane and absorbing myself in reading. I still don't particularly care for flying, but I think today it is for different reasons. I still find talking to people and reading during the flight to be very therapeutic. Thanks for helping us cope with this common fear by offering us practical ways to deal with it. Thank you so much for these tips! I will be flying by myself, and for the first time, so it's nice to know that these fears can be overcome! Let me know how you get on. Good luck. Thanks so much for the great tips! I'm intensely afraid of flying and have successfully (if you can call driving all over the country whenever I needed to be someplace other than home successful) avoided flying for many years. However, I'll be flying up North in October for my son's wedding and I'm terrified. I plan on trying your techniques ASAP (four months worth) and hope I'll be able to get a handle on this debilitating condition before then. Thanks again! Yes, anticipatory anxiety is the worst. My original flying fears were always worse too on take off or landing ( with wobbly bits in between). I can look out of the window for both now with no fear. Thanks for your comment. I love these tips. I always have a bit of a panic attack during take off, but I'm fine once the flight is en-route. The anticipation and worry take on a life of their own. I like to visualize the destination that I am looking forward to, though sometimes it doesn't help and I just grit my teeth and get through it.